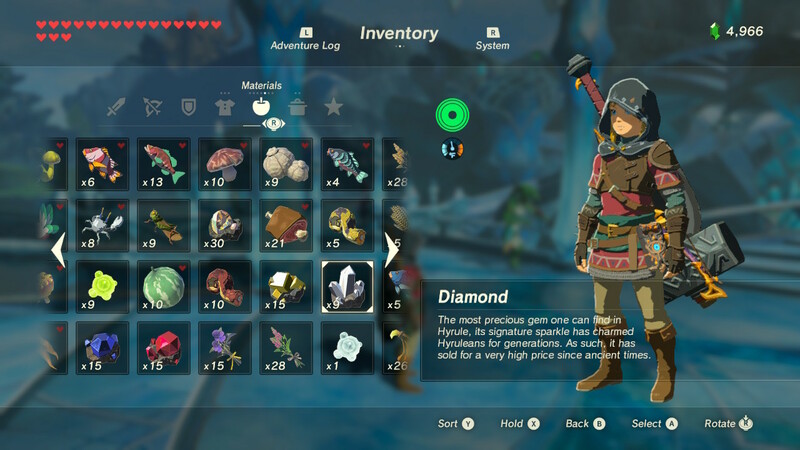 Diamonds are the most valuable rare material found in Legend of Zelda: Breath of the Wild. Here, we're going to explain some of the best ways to get an endless supply of diamonds. Diamonds are useful for more than just selling. You'll need them to craft unique weapon replacements -- talk to NPCs around each of the four Divine Beasts to see what unique weapons can be rebuilt. Otherwise, diamonds are totally for selling. They're worth 500 each. That's a pretty big chunk of change. It isn't easy finding diamonds in the environment. They're only found in shimmering mineral deposits, and even then you won't get a diamond every single time. Here, we're going to reveal some side quests that always reward Link with a diamond. Some of these are surprisingly easy to farm, too. There's more than one endless source of diamonds in Hyrule. Some side quests are repeatable, and result in a diamond reward for every completion. After bringing Ledo 10 Luminous Stones, you'll get an easy pair of 2 diamonds. For more diamonds, you'll need to bring Ledo 10 Luminous Stones. 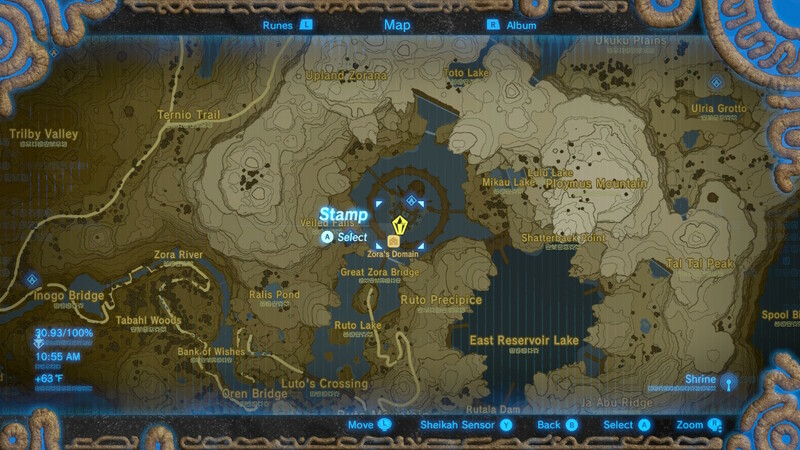 Note: Lots of Luminous Stone deposits are located on the cliffs surrounding the Zora's Domain city. 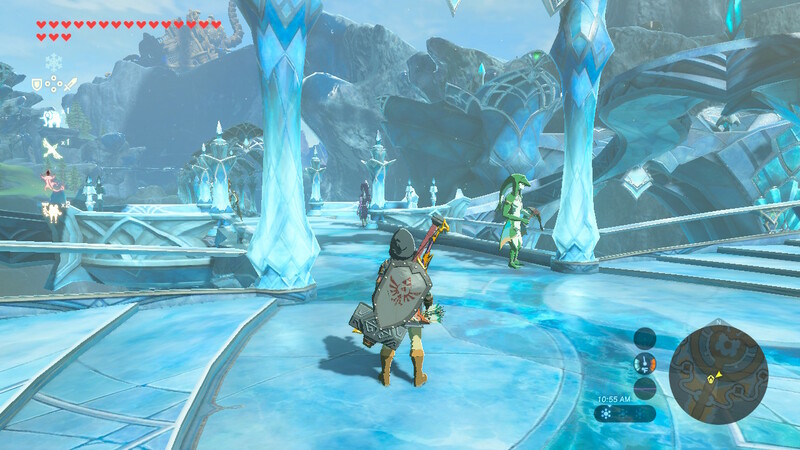 Hyrule Castle, Ulria Grotto (Akkala), and Tanagar Canyon (Tabantha) are all great sources of Luminous Stones. This is one of the easiest ways to earn an endless supply of diamonds -- luminous stones are plentiful and easy to spot at night -- look in rocky areas with mineral deposits. The mineral deposits that glow-in-the-dark will always drop Luminous Stones. 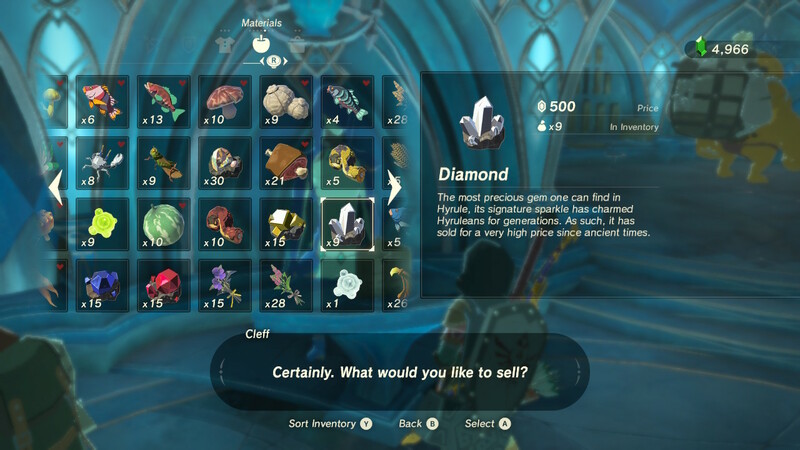 Pirou at the Gerudo Canyon Stable will trade one diamond for every 55 rushrooms you deliver. That's a lot of rushrooms. Rushrooms grow all over the canyon walls of the Gerudo Canyon area. They're purple shrooms that easily stick out from the pale cliffs, and you don't always have to climb up to get them. You can also use arrows to knock rushrooms loose, making collecting them much faster.